In today’s blog, we focus on one of town’s many interesting personalities, Andrina Fonseca. Originally from Costa Rica, she left the country and made her name internationally as an interior designer and architect, designing the first Apple stores directly with Steve Jobs. Lucky for us, she returned to the country, coming back to Costa Rica with a vision for sustainable design and a love for local artisans. She’s brought this passion to life as both the owner of D’Aqui Design and a major contributor to the interiors of much of town. Recently, Andrina contributed to the interior design of the new Santarena Hotel, and she’s a well-loved member of town and a friend to everyone she meets. If you’ve ever been to her shop or wandered the streets there’s a good chance you’ve met her, and even if you haven’t it’s almost a certainty that you’ve seen the impact she’s left on Las Catalinas. 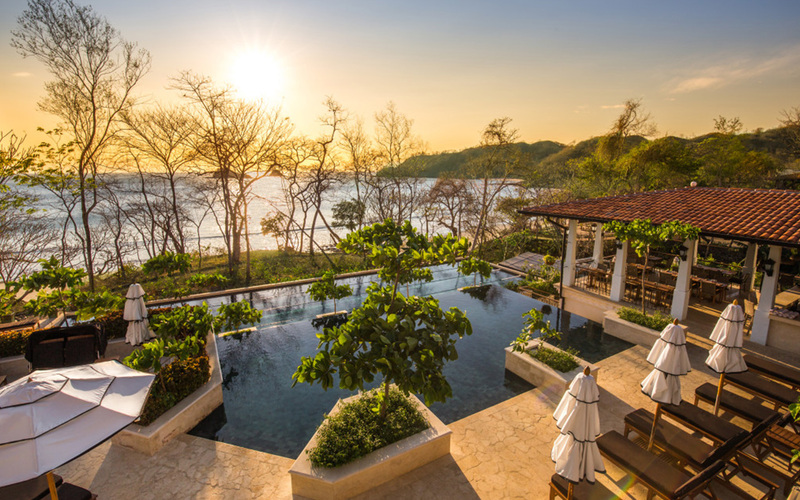 After years among the premier interior design institutions in the world — including work designing the very first Apple Stores in the early 2000s — Andrina decided to take her family back home to Costa Rica, seeking to raise her three children among the Costa Rican way of life. 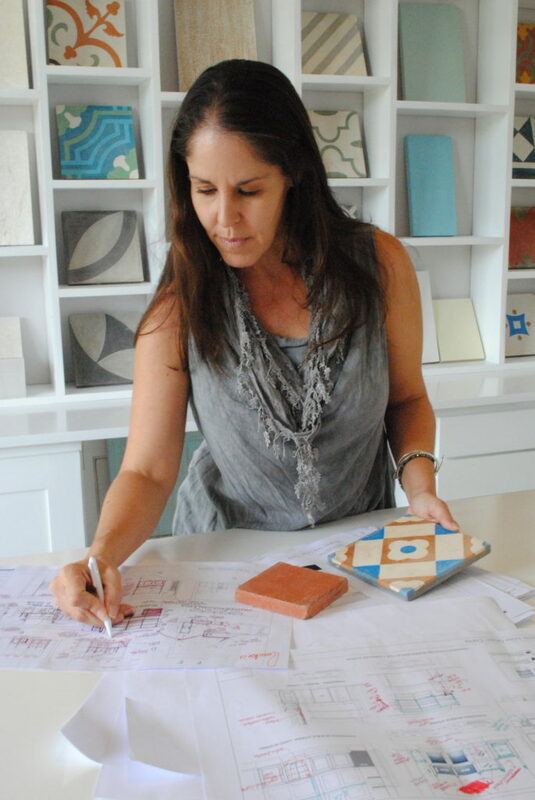 She eventually found her way to Las Catalinas as an interior designer and consultant for the new town, opening D’Aqui Design Studio, the name of which translates to “from here”. With her continued work in town, Andrina brought a focus to local craftsmanship and artisans, filling her shop with art, furniture, fixtures, and design elements designed and created by the people of the surrounding community. 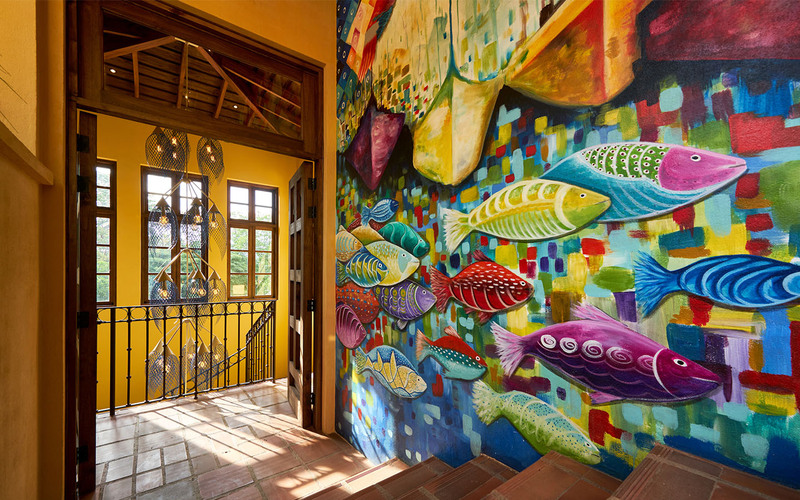 This distinct style, which weaves locality into exceedingly beautiful design, can be seen throughout much of town — it’s no exaggeration that if you’ve been to Las Catalinas, you’ve seen her work, especially if you’ve stayed in Santarena. The design for the hotel carries the vision of a place for the coming together of people, and Andrina’s work has been a big part of helping it become a hub for the exchange of stories and good times in a place that feels beautiful, cosmopolitan, traveled, and yet still local. And people are still noticing. Andrina was recently named to the Real Leaders 100, a prestigious list curated by Real Leaders Magazine focusing on 100 Leaders worldwide creating positive and innovative economic change that serves the greater good. The listing cites Andrina for her contributions in Las Catalinas and her work with D’Aqui, infusing international expertise and ideas into projects that are undeniably local. It’s a concept that pops up around town a lot — we have quite a few people who learned all around the world before deciding to do something here — and what better way to see that recognized than through D’Aqui’s visionary! Congratulations to Andrina for this tremendous accomplishment. To read the full article, or to explore the rest of the list, you can check the Real Leaders website.